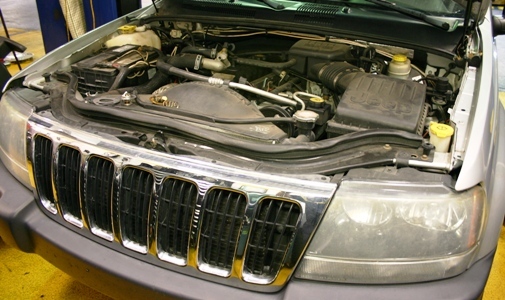 Denlors Auto Blog » Blog Archive » What Happens if a Catalytic Converter is Removed? 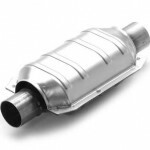 What Happens if a Catalytic Converter is Removed? DenLorsTools.com Summary: One of our recent questions was regarding a performance issue and lean codes on a Ford F150. The fact that the catalytic converters were removed was skated over as a non issue. 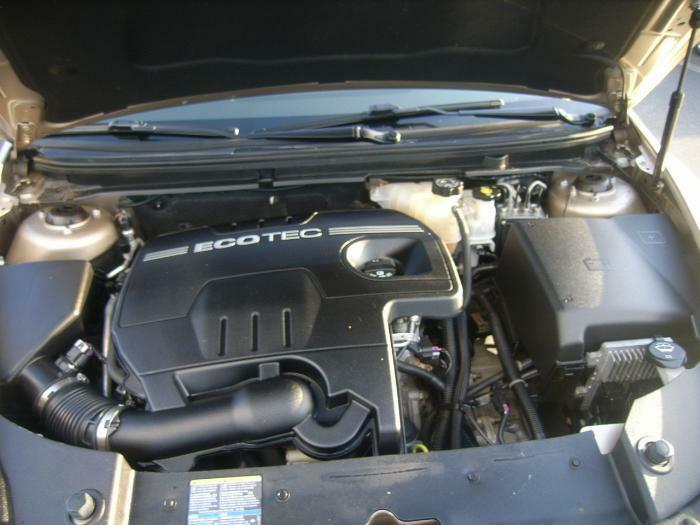 There are several things to consider before going to the extreme of removing a catalytic converter. Legal issues, running or performance issues etc. See the following for more information on what can happen and why the catalytic converter or converters should not be removed. 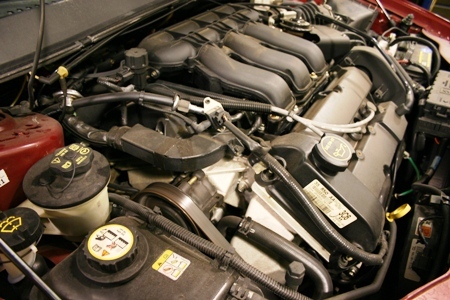 Question – I have a 2001 Ford F150 5.4L. When the truck is cold, before reaching normal operating temperature it runs fine. But as soon as truck reaches normal operating temp, it loses serious power. I changed the mass air flow sensor and checked the fuel pressure and it is good. Truck does not have cats at all and hasn’t for 2 years. Problem started two months ago. It also throws the bank 1 and 2 system lean codes P0171 and P0174. Any ideas? Please help! The truck also has a K&N cold air intake. Answer – It is true that if K&N air filters are over oiled the oil may get onto the Mass Air Flow sensor and damage it. But I think there there are bigger issues. The lean codes should have started right after the catalytic converters were removed 2 years ago. The OBD II system checks all the systems constantly for faults and reading outside the normal parameters. The rear Oxygen sensors are detecting more Oxygen because it is not being used to burn excess fuel in the cats as it is designed to do. The computer in the truck is trying to compensate for skewed readings (high Oxygen/Lean, readings) results in more fuel added to the mix. The computer has no way of knowing the cat’s were removed and is adjusting fuel/air mixture to try to get the readings back to where they should be. The result is too much fuel being dumped into the system. It’s no wonder that performance has been affected. The only puzzling thing is that problems only started recently and not when the cats were first removed. Perhaps the mufflers are restricted now from all the extra unburned fuel. Or maybe there actually is a new problem like a vacuum leak. Also, beware that there are huge fines if caught with no cats, for tampering with emission control devices. 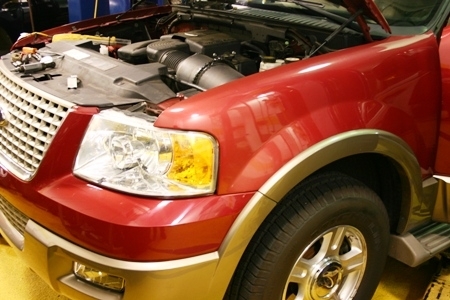 Every time you trade a vehicle or sell one you’re required to sign documents saying you haven’t tampered with pollution control (emission) devices. Conclusion – don’t remove a catalytic converter because there could fines involved. Also unintended consequences like CEL’s (Check Engine Lights) and excessive fuel being used because of the altered fuel mixture controlled by the PCM (Power Train Control Module). When there’s a CEL on and other problems occur, it can make it harder to diagnose the new issues. Even aftermarket catalytic converters can be the cause of some codes. Use original equipment when possible. And keep in mind that manufacturer’s will warranty catalytic converters in most cases on vehicle’s up to 10 years or 100,000 miles. Now hopefully, you know some of the things that can happen when a catalytic converter is removed. I’d first check for vacuum and exhaust leaks and check the air filter. I’d replace it if it’s dirty and possibly clean the MAF (mass air flow) with electronics cleaner. Be sure it’s completely dry before starting the vehicle up. Besides that – Emmisions can be a real headache. Especially the older the car gets. 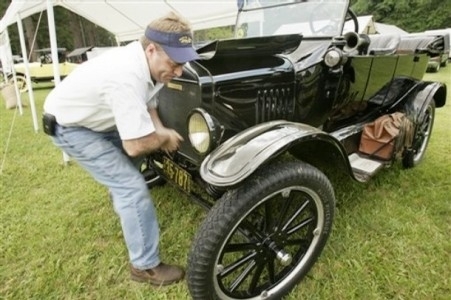 With 160,000 miles on a 15 year old car there’s many more small things that can add up to problems that effect emmissions. Find a shop that can insure you will pass before going back. Make sure they gaurantee their estimate for getting it to pass. This way they may be more likely to do some work for free if they are incorrect. Good Luck. Really quick…as far as getting an assurance it will pass and a guarantee on their estimate for it to pass; would the shop put that in righting that I would sign to authorize them to work on the car? Or would it be something verbal that I would hope they would hold to their word? Appreciate it Dennis, thanks. That would be up to the individual shop what they are willing to do. If they aren’t confident though, that should tell you something. Good Luck.